With our custom Fort Collins fences, enjoy more privacy, safeguard your children, and enclose your pets while maintaining the aesthetics of your house and neighborhood. We can help you choose the fence, which best fits your needs whether it is a residential, commercial, or an agricultural application. A new Western Red Cedar fence can be a great accent to your home. When building a Western Red Cedar fence we have the ability to build as standard privacy fence or we can build a custom designed fence that will really make your property stand out. Please beware that not all Cedar is the same! There are several types of Cedar such as Alaskan Yellow, Coastal and Chinese. These types of Cedar are less expensive that Western Red Cedar but they are inferior in quality. Western Red Cedar has rich brown and red tones that flow through the lumber. These colors are created by a natural acid that causes the lumber to be more resistant to decay and insects. Poor quality Cedar tends to be very pale, which means it lacks the natural acid that is required for longevity of the fence. I constantly seek out the finest quality Western Red Cedar to provide for my customers. 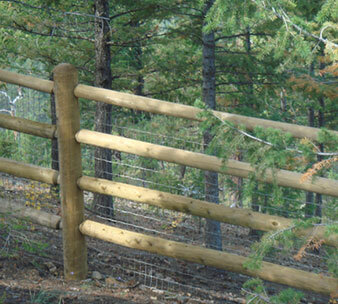 The one draw-back to Cedar fences is that over time they will begin to weather and posts will start to decay. No matter how often you stain the fence, the posts will still rot off at ground level. There is no maintenance that can be done to prevent this. You greatest option is to install your new fence using the PostMaster system. As you can see there are several benefits to using a PostMaster. 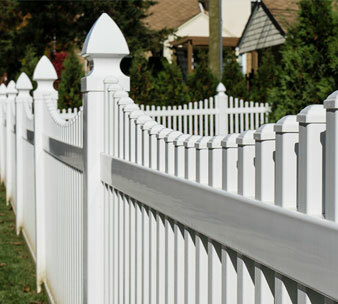 Vinyl fence is a great maintenance free option for your new fence. Vinyl fence doesn’t just come in white. Vinyl comes in a multitude of colors to fit your exact application. Please be advised that not all Vinyl fence is created equally. Most vinyl fence may look similar when it is new but over time a poor quality vinyl fence begins to break down as it is exposed to our fluctuating weather. I only use Vinyl that is designed for our climate. I recommend Vinyl fence from DuraMax or National Vinyl Products. Both of these manufacturers have tested their products to hold up to Colorado’s high UV rays. There are Vinyl manufacturers all over the nation. They may make great products that hold up well in their climate. I personally don’t trust a Vinyl that is manufactured in Florida or Ohio to hold up to the Colorado climate. Even worse, there is material that comes in from China. That material lacks the UV ray inhibitors and impact modifiers to hold up for years to come. Vinyl fences can be a great maintenance free option for your fence if it is installed correctly. If it is installed according to manufactures specification it will hold up well for years. 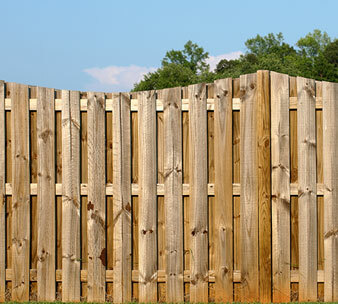 If you choose a poor quality Vinyl fence and it is installed poorly then you will have a lifetime of maintenance. It pays to do your research before hiring a contractor in order to make sure that you are making an educated decision. Having your livestock safe and secure offers you great peace of mind. I have spent my entire life around horses and cattle so I have an idea of what works best to contain them. Whether it is something as simple as barbed wire or a pipe fence that will last a lifetime, we’ve got you covered. Every project has its own unique needs so we are willing to discuss those needs with you then design a fence that will fit perfectly for your application. Are you ready to have Altitude Fence and Deck install your new fence? Click the button below to get your quote today.